There is a little independent retro gaming store in Plano that is the closest thing to a real arcade that I’ve ever experienced with the kids. There are still a lot of places you could call “arcades”, mostly attached to chain family restaurants like Chuck-E-Cheese or entertainment complexes like Fun Zone or Amazing Jakes. But the key differentiator for me is that the machines take real quarters, preferably only one per play. I always hated changing tokens, and to me the idea of plopping tokens into a machine screws with the mythology somehow. Tragically Thor the Barbarian’s joystick is broken at the moment, but all of the other characters are playable, and I generally play with Thyra the Valkyrie in 1 or 2 player games anyway. Gauntlet was heavily influenced by Dungeons and Dragons, as was I, so it’s always been one of my favorite classic arcade games. It was also one of the first (the first that I can recall and certainly one of the only) cooperative multi-player games. And such a beautiful old cabinet. It was a joy to discover it there, and to introduce TheVCubeSolver to it. 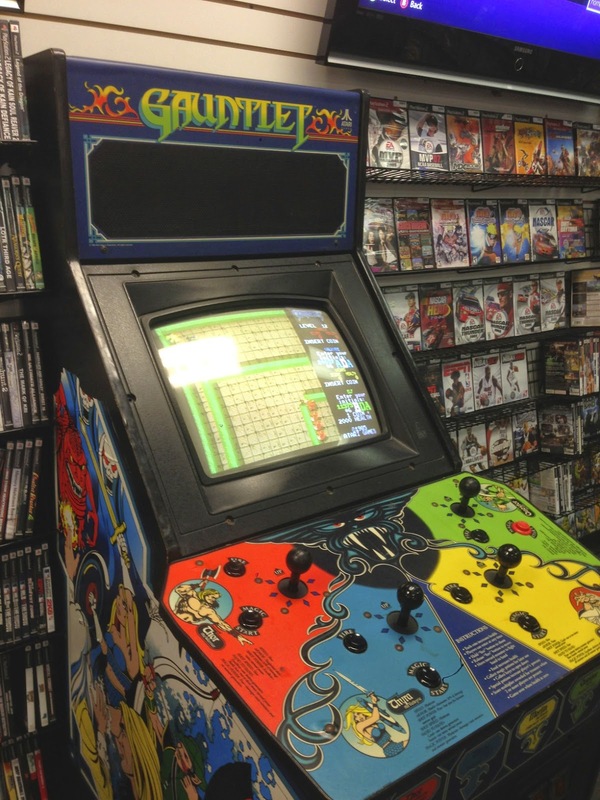 We’ve been back on occasion to look for old Gamecube games, but more and more we go just to play the arcade consoles like Gauntlet and X-Men and Smash TV. With a pocket full of quarters. Now if only they sold pizza on the premises. And carpeted the floor.